It’s time for another frugal win of the week (FWOTW) post! 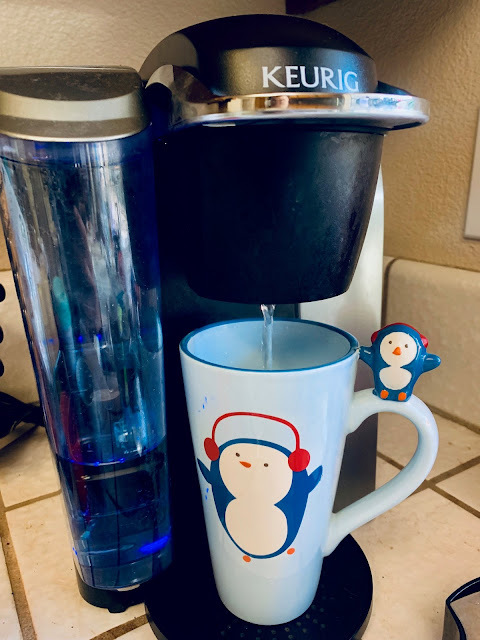 We have owned a Keurig coffee brewing machine for over 5 years and it’s never let us down – until 2 days ago when it decided to stop brewing hot water and coffee! While K-cup Pods are extremely convenient to use, we figured out a long time ago that purchasing K-cup Pods was a waste of money. The tiny amount of coffee used in each K-cup costs the equivalent of $40 per pound! That’s over 7 times the cost of the delicious ground coffee we get at Aldi. K-cups are also bad for the environment since most people do not take the time to disassemble the K-cup to properly recycle it (the foil lid needs to be removed and the coffee grounds emptied). So why do we continue to use our Keurig machine? While the Keurig is sort of a glorified hot water dispenser, it’s still extremely convenient to use. We purchase ground coffee at Aldi and fill our reusable K-cups to brew coffee at home. The reusable K-cups are eco friendly and easily washable. We can fill any type of coffee grounds we like into the cups and enjoy easy to prepare coffee at home. A quick Google search on “Keurig not brewing coffee” took me to a few good blogs on how to troubleshoot our device. The most common reasons for a Keurig not brewing include: clogged needle, need to descale, air bubble, clogging of water line, or improperly sealed parts. I have to admit, I had no idea we were supposed to descale our Keurig every 3-6 months from calcium buildup! Keurig has instructions on how to use their descaling product but I learned that we could also descale our Keurig with white distilled vinegar we had in our pantry. Basically you fill the water reservoir halfway with vinegar and keep running the machine until the reservoir is emptied. Then you run the machine with water only to flush out any remaining vinegar. After descaling our machine, I cleaned out the needle with a paperclip and cleaned out the pipes by blowing them clear with a straw. Voila: our Keurig was running smooth as new again! Bonus FWOTW: we did not do any Black Friday shopping this year since we weren’t interested in anything. Remember that saving 30% off something you don’t need isn’t really saving money.